CPVC compound-Chlorinated Polyethylene|CPE|Acrylic Processing Aid|AIP|Acrylic Impact Modifier|AIM|Impact Modifier|ADC blowing agent|Chlorinated Polyvinyl Chloride|CPVC|Polychloroprene Rubbe|Chloroprene Rubber|Neoprene |Chlorinated Rubber|Thermoplastic Polyurethane Resin|TPU)|High Chlorinated Polyethylene |HCPE|Chlorosulfonated Polyethylene|CSM-Acrylic Processing Aid, Chlorinated Polyethylene - Sundow Polymers Co.,Ltd. 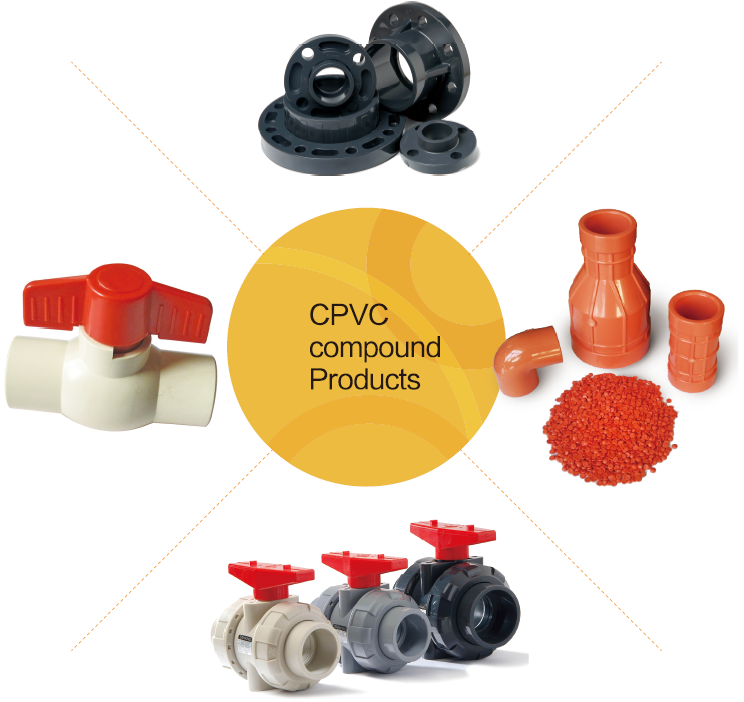 CPVC compounds are formulated according to the actual CPVC products as per their quality standards. 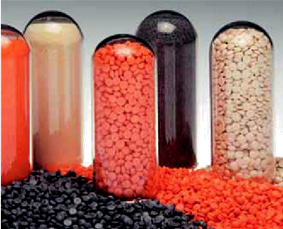 The form of CPVC compound is powder or pellets. * Excellent flame resistance and low smoke generation.